Italian for flavour. 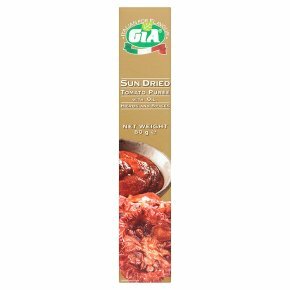 Recommended by the food masters.Gia Sun Dried Tomato Puree is unique blend of sun dried tomatoes, oil, herbes and spices. It will give that exclusive Italian flavour to meat, vegetables, pasta, pizza and casseroles.